Overstreet 2005 VF 8.0 value = $506. 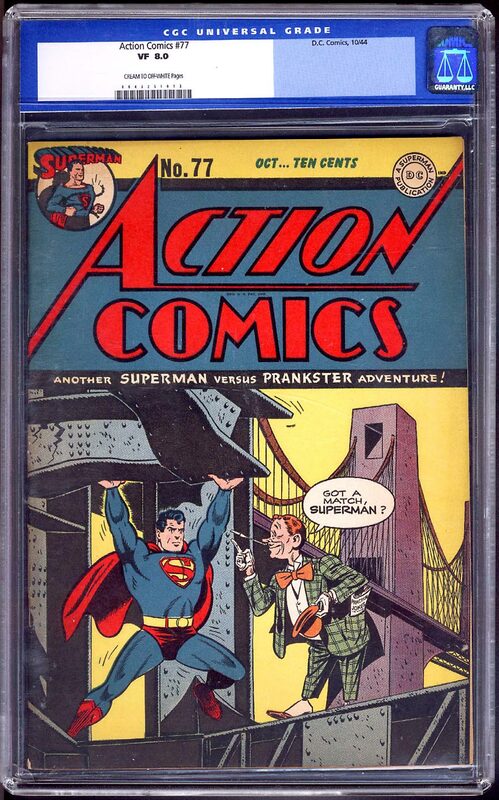 It is impossible to find these early Actions in high grade so it is no suprise this is the second highest graded copy. 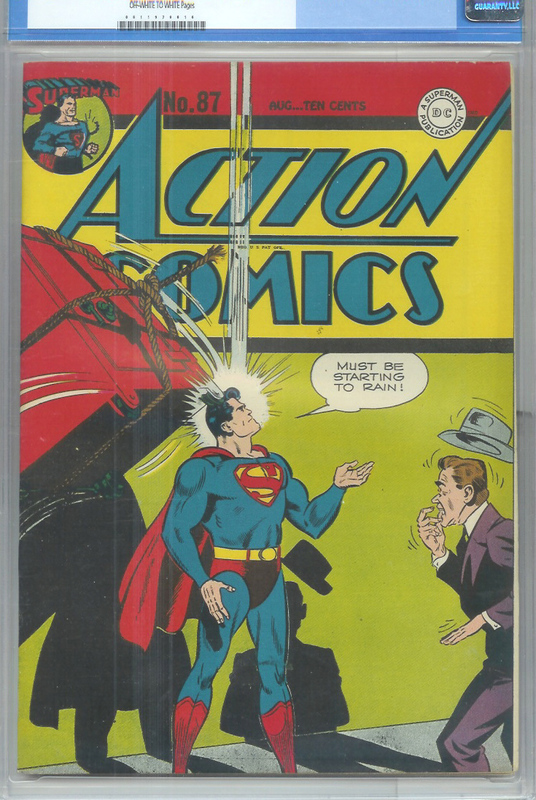 As a bonus it has two ads for More Fun #52 (first Spectre) which, of course, you can't see because the book is CGC'd. Sorry!. Overstreet 2005 VF 8.0 value = $1,925. Incredible Golden Age beauty. 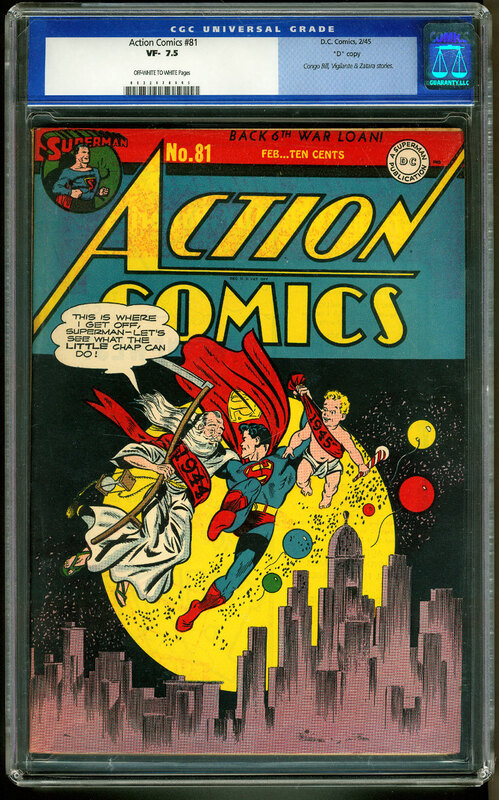 This 9.6 stunner from 1945 features an awesome Superman cover. 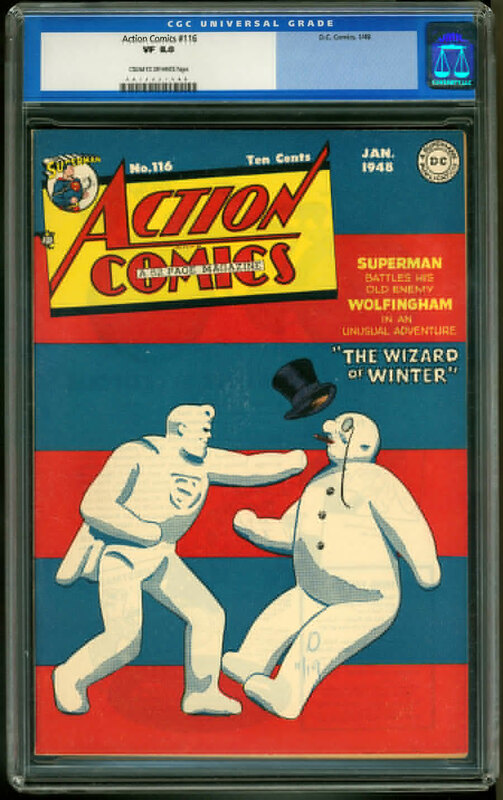 It is the #1 highest graded copy in existence! Overstreet 2005 FN 6.0 value = $231; VF 8.0 value = $481. 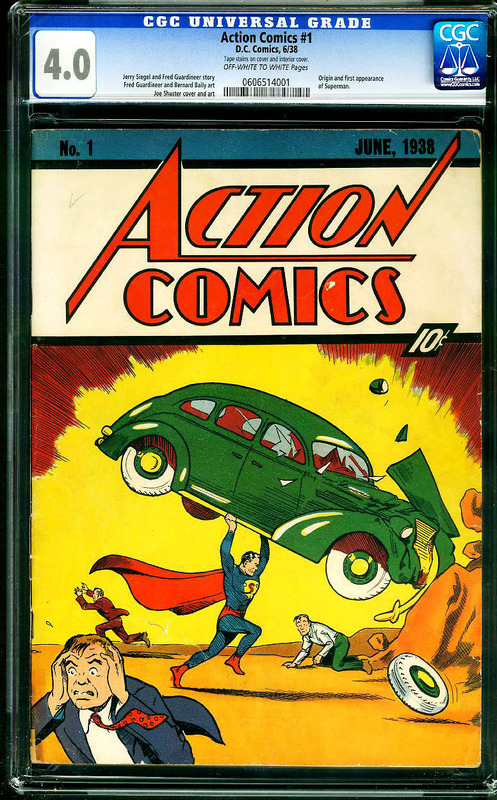 There are but just two copies graded higher than this gem. Overstreet 2005 VF 8.0 value = $394. Just the second issue to have Sandman on the cover. Bob Kane, the creator of Batman, helped with the interior artwork. This issue has been designated a Gerber "7", and it really is. It may take you years to find another one even in this grade!! Just three issues grade higher, and only one of them is above 7.0 (of course, it is the Mile High copy, which is in a class all by itself)! 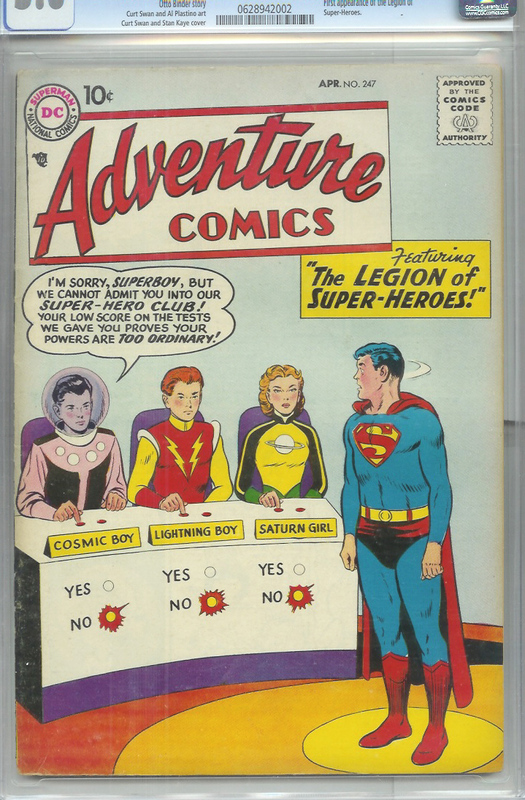 One of the great "key" books of the Silver Age, this is the 1st appearance of the Legion of Super Heroes! 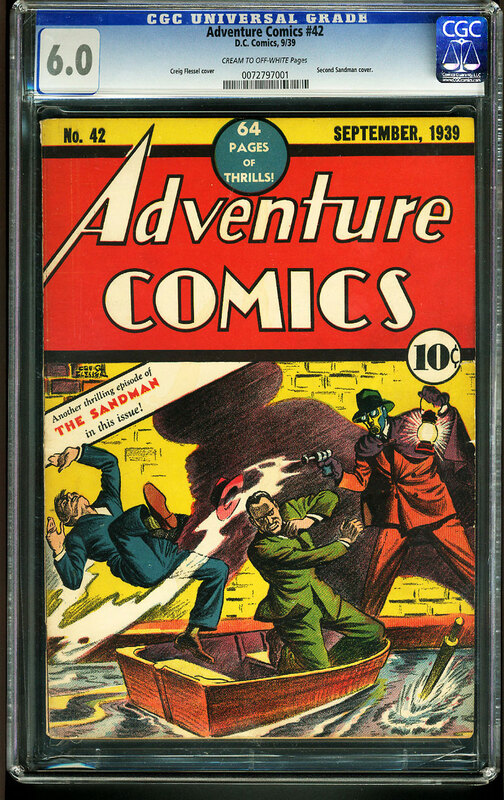 A very tough book to find in any grade, this is a very nice copy of a true classic and quite affordable! 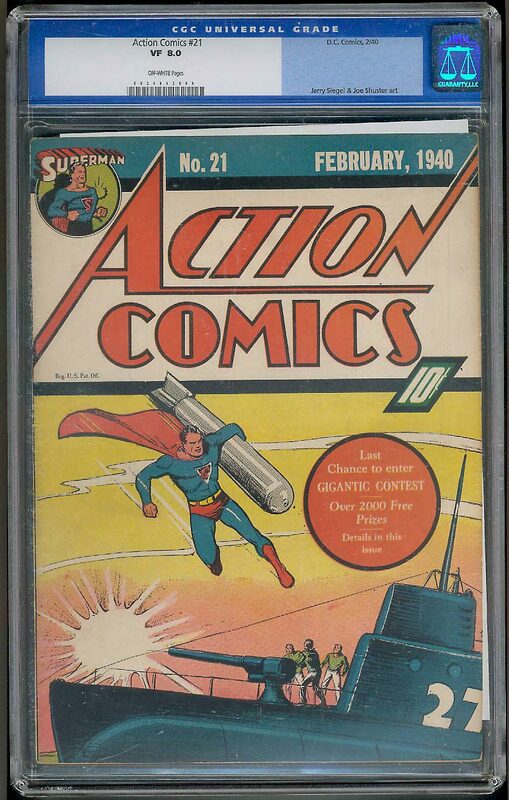 Actually just two copies outrank this one in certified grade. Overstreet 2005 FN 6.0 value = $693; VF 8.0 value = $1,444. 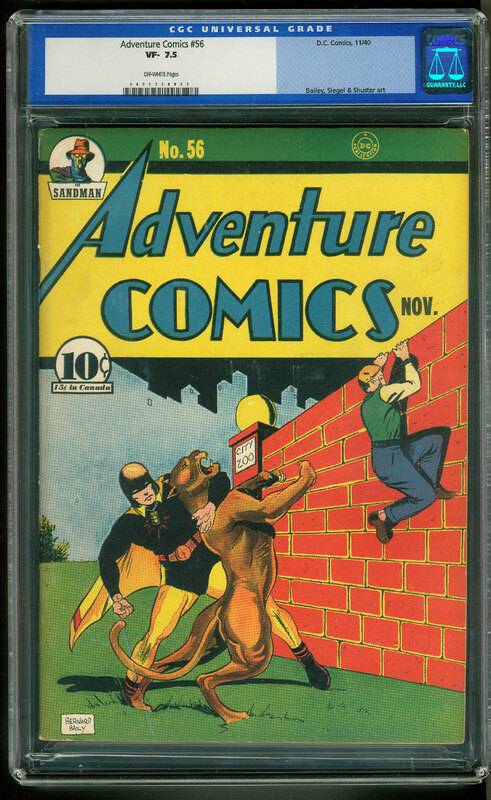 If you want the perfect book for investment and enjoyment, then look no further than this fifth ranked most valuable Golden Age book by the Overstreet Comic Book Price Guide!! 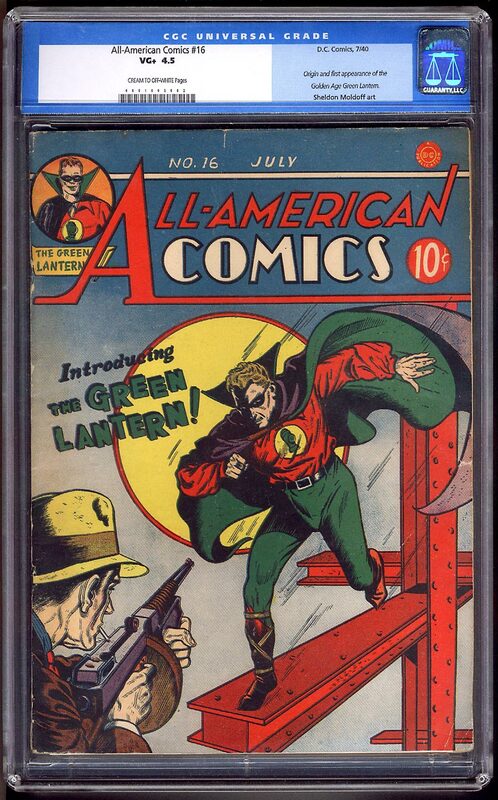 Listed as "rare" by Overstreet and a "7" by Gerber, this is this origin and first appearance of Green Lantern by Sheldon Moldoff (c/a) and Martin Nodell.